Washington’s fragmented approach to transportation investment has cost the U.S. 900,000 jobs, according to a study by Duke University released October 15. Every dollar invested in the nation’s transportation infrastructure returns $3.54 economic impact. The study concludes that a six-year transportation bill that provides at least $100 billion in annual investment would create over 2.47 million American jobs, have an economic impact of over $404 billion per year, and increase the country’s global competitiveness. 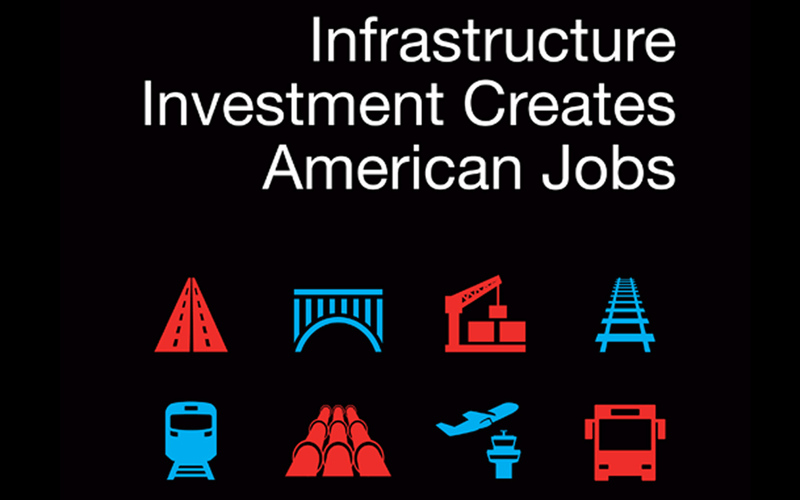 Read Duke University’s “Infrastructure Investment Creates American Jobs” report.